Thick, soft, and luxurious, the Weston Collection brings you an irresistible combination of pleasure and practicality in a modern area rug. Hand-woven in a blend of jute and bamboo-extruded silk-like fiber, these area rugs are richly colorful, stylish and designed for effortless chic. Gentle striations create waves of ocean color in this stunning seafoam blue area rug from the Weston Collection. Soft and subtle in a high-performance modern fiber, it has the added appeal of hand-craftsmanship. 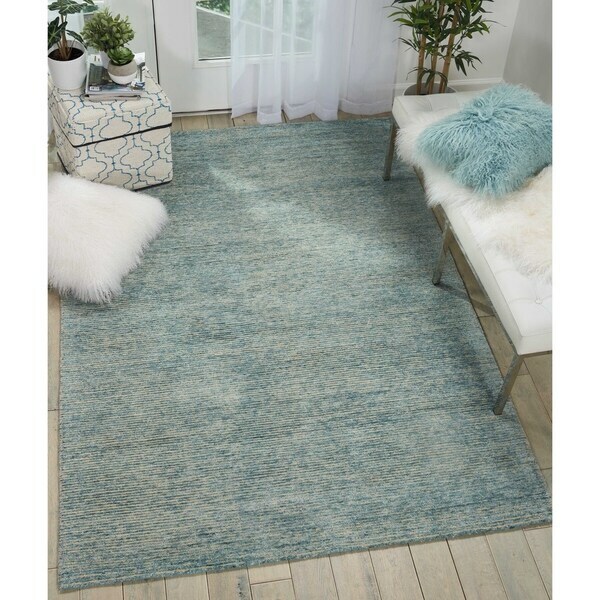 Safavieh Vision Contemporary Tonal Aqua Blue Area Rug - 5'-1" X 7'-6"